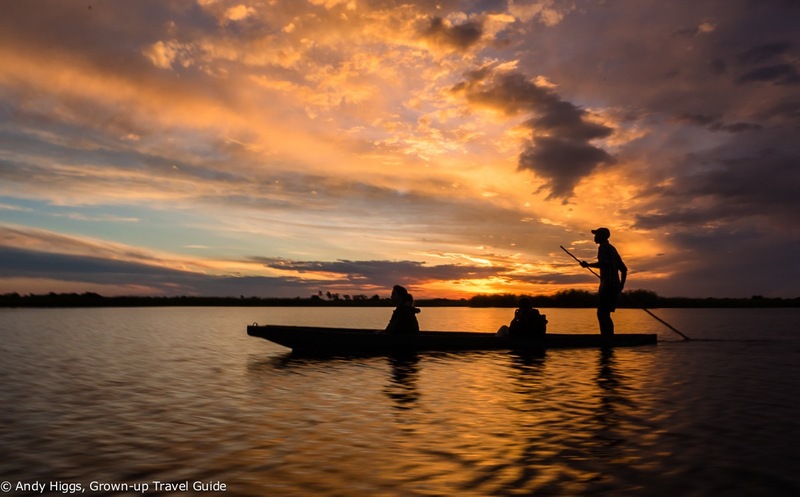 Posted on November 18, 2018 by Andy Higgs in Africa, Botswana, feature, Home, Places. Readers are well aware of my love of – and incurable addiction to – Africa. My condition worsened last year when I went on my first safari; now I crave a new hit on a daily basis. You will often hear that an African safari is a “once in a lifetime” experience – but this is utterly wrong. An African safari is an experience for a lifetime – although I’ve yet to meet anyone who thinks that once is enough. I know the Grown-up Travel Guide audience well enough to know that you – yes, you reading this – dream of going on an African safari. Of course you do. But where do you even start? 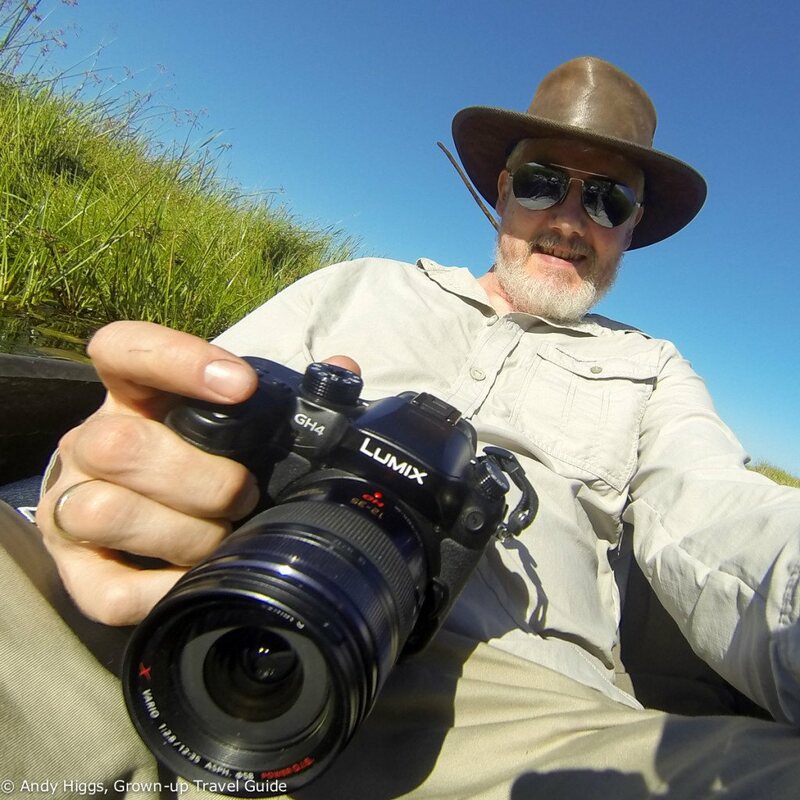 I’m going to tell you all about the adventures I had last month in Botswana with Sunway Safaris, one of South Africa’s leading small-group tour operators. Spoiler alert: it was amazing. 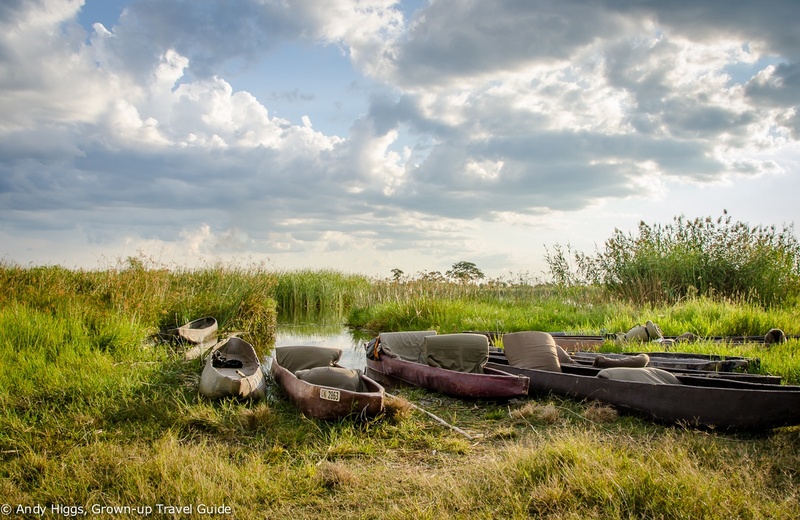 Botswana is an anomaly in Africa – rarely making the news except in positive stories usually connected with conservation, this land-locked country is surrounded on all sides by neighbours with far more turbulent histories. In safari circles, however, Botswana is famous; famous for its enormous wilderness areas and lack of fences, for its success in curbing poaching and protecting its animals – and for its decision to focus on high-end, low volume tourism. 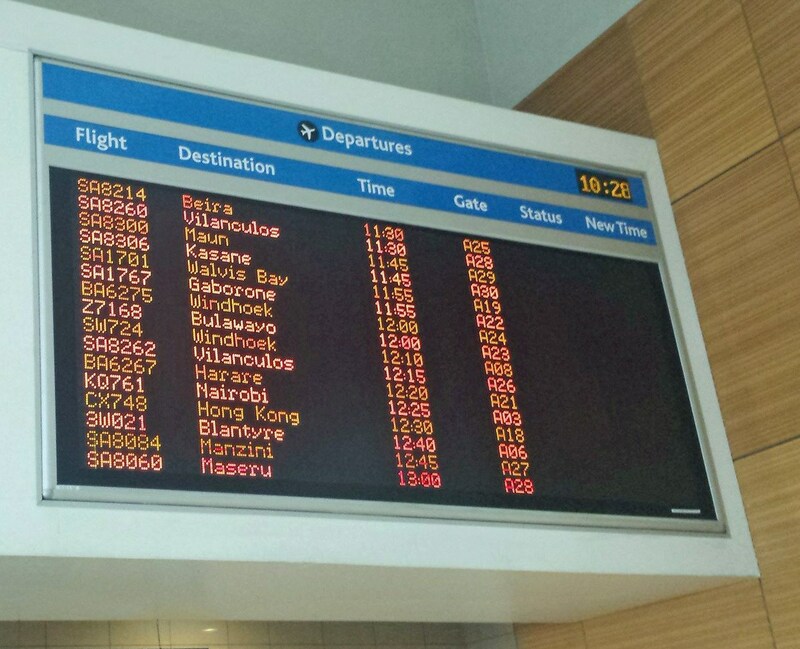 Now I’m not making this up – there are several places in Botswana at this end of the scale. This is often the point where potential visitors to Botswana become potential visitors to another country. 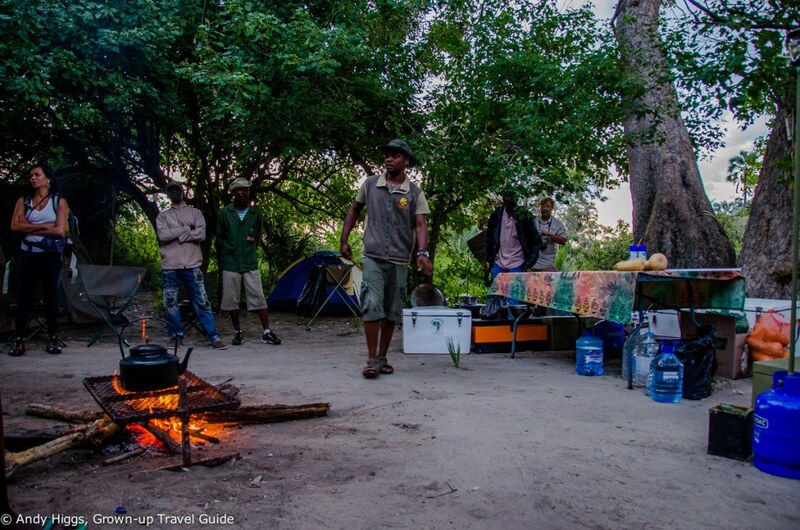 You can have the best safari in Botswana at an affordable price – with all the comfort you need. As I’ve argued before, real luxury is not about caviar and your own butler service; it’s about an experience that you will never forget that makes you dream of returning. It’s about the people you meet and the times you share. It’s about experiencing nature in splendid isolation. It’s about truly being able to relax and leave your daily life behind for a while. All of this and more awaits you in Botswana. But what if I told you that for almost exactly the same price as quoted above for one person sharing a room for one night in a single game reserve, that same one person could spend 13 days enjoying the best of Botswana’s superb game viewing? 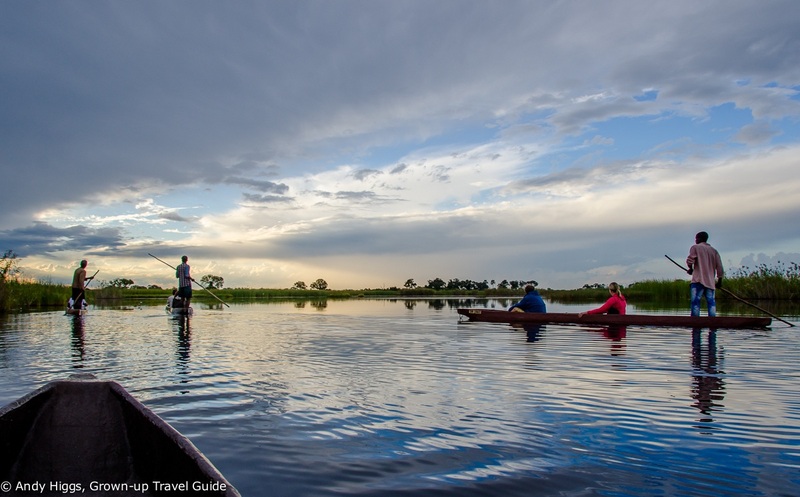 Or that the tour in question takes in the Okavango Delta, Moremi Game Reserve, Chobe National Park and the Makgadikgadi salt pans? And as if that wasn’t enough, you would even get two days at the incomparable Victoria Falls in Zimbabwe into the bargain? I’m guessing you’d be a potential visitor again? I was first introduced to Sunway Safaris back in November 2014 at the annual World Travel Market in London. Bruce Taylor, one of the company’s owners, approached me during the ‘speed networking’ session set up to allow companies to meet with travel bloggers to discuss working together. Bruce had already done his research about Grown-up Travel Guide so it was clear from the start that we were both focusing on the same niche. There was no doubt in my mind that Sunway offered exactly what my readers would want – expertise, experience and adventure with a high level of comfort for a fantastic price. I also got to know Jayne Harley, the Sunway marketing manager, and between us agreement was reached that I needed to take part in a tour myself to be able to tell the whole story. So it was that I joined a familiarisation trip (a ‘FAM’ in tourism jargon) which is basically a package put together for travel agents selling a company’s products to enable them to tell potential clients what to expect. This was to be a condensed tour combining elements from two of the packages offered by Sunway Safaris in just six days – the perfect introduction to the company and its services. I then organised flights into Johannesburg which would allow me time to explore South Africa before and after the Botswana trip and for the journey to Maun and back with Air Botswana. After updating my safari wardrobe – well, I bought a new hat – I was ready to go and April 18th couldn’t come quickly enough. What makes Sunway Safaris different? The company only runs small group tours, meaning that a maximum of 12 people take part in each trip. This ensures that your experience is a more personal one and prevents the negative impact of large-scale tourism. Two qualified, experienced guides accompany each group and work together as a team rather than a driver and guide which is more usual on safari. A guide makes the difference between a good safari and an amazing one – with two in your vehicle you’ll not miss a thing. 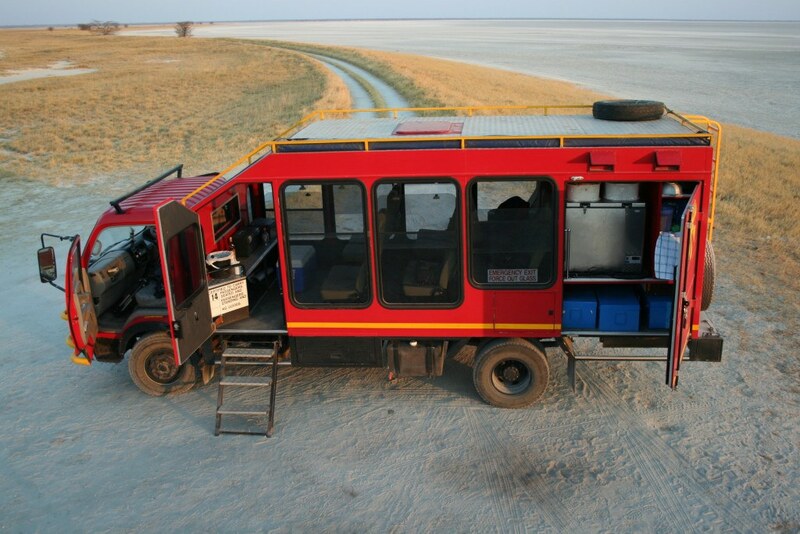 Speaking of vehicles, Sunway Safaris’ are custom-built for comfort and safety by authorised specialists. No hidden costs – all the main highlights are included in each itinerary as are park entrance fees and most meals. The company is African-owned and African-based with offices in both South Africa and Botswana. Our six-day ‘taster’ itinerary combined parts of two more extensive Sunway tours: Botswana Wild Parks and Botswana Wildside. 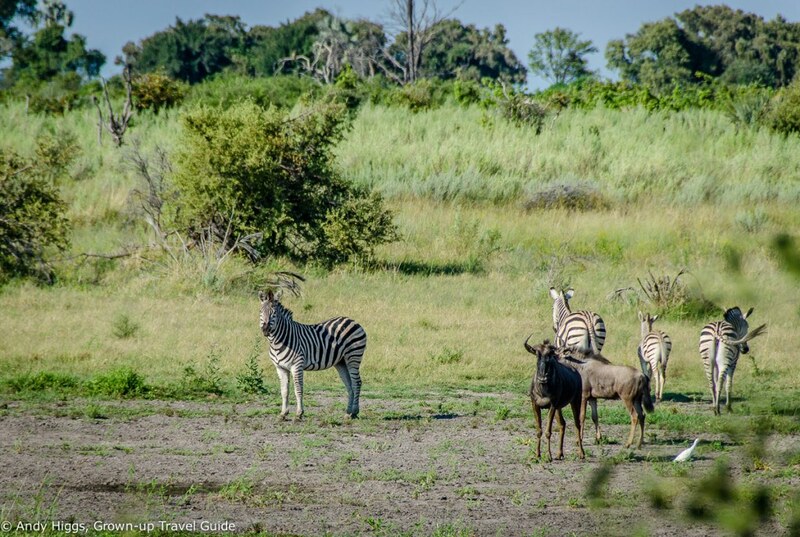 We visited the Okavango Delta, Moremi Game Reserve and Hyena Pan in the Khwai River concession but missed out on Savuti, Chobe, Makgadikgadi salt pans and Victoria Falls which are included in one or both of the regular trips. 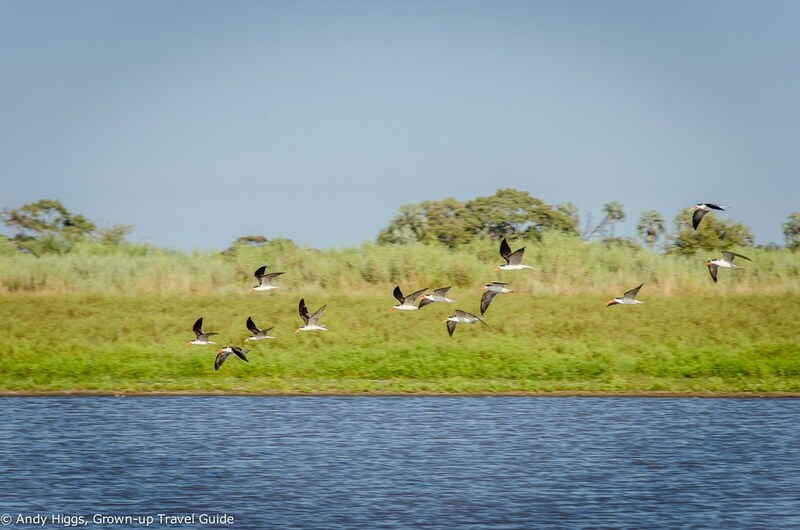 Sunway Safaris offer the option to travel overland from Johannesburg to Maun for each of their longer tours or to do as we did – fly into Maun in Botswana and start from there. On Saturday 18th April I arrived at Johannesburg Airport from the Peech Hotel where I had spent my first two days in South Africa. 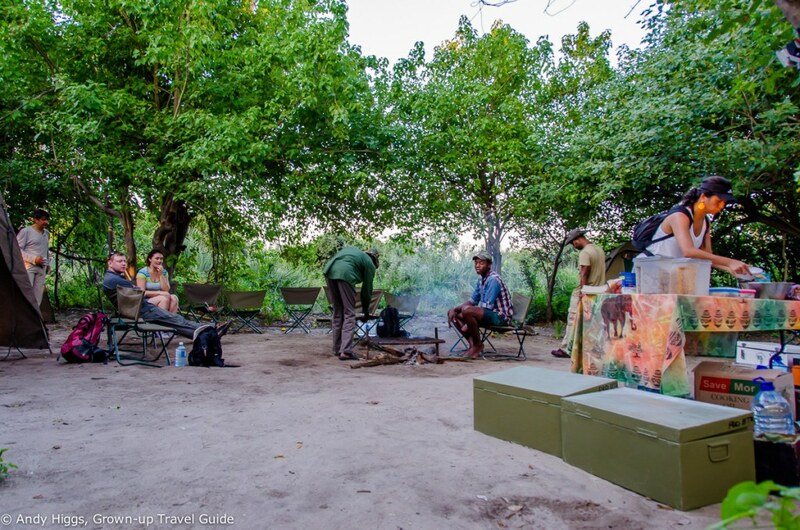 Sunway Safaris provides their guests with a detailed dossier containing everything you need to know about the trip and the meeting point in our case was the Air Botswana check-in desk. We were an international bunch – there were travel agents from the UK, Brazil, Finland, Italy and South Africa along with myself flying both the British and Norwegian flags and Jayne from Sunway as tour leader. After checking in our bags – in my case including Dennis the Drone – we passed through security and got to know one another over coffee at one of the airport restaurants. 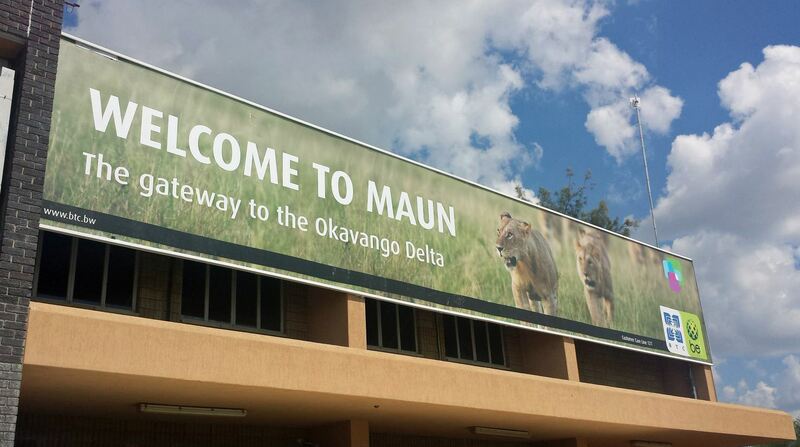 The flight to Maun had been rescheduled for a little later in the morning but it was soon time to head for the gate. Once boarding started we were bussed out to the plane that would carry us into Botswana. 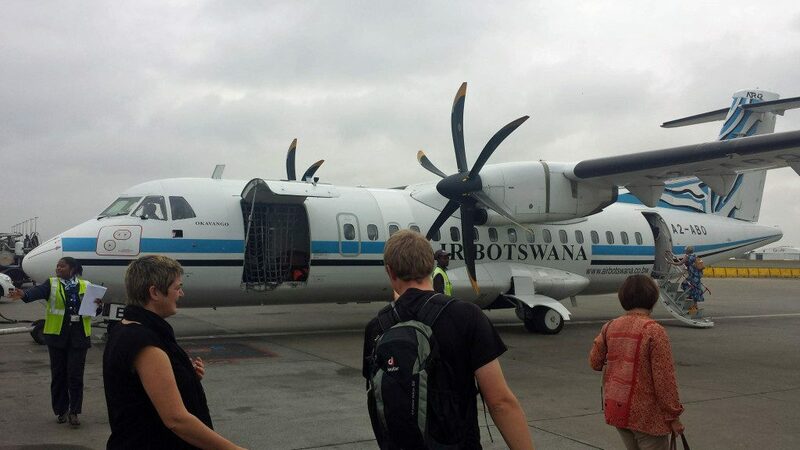 These turbo-prop jets are the perfect size for the relatively short flight to Maun – there were few empty seats which suggests they have judged the capacity well. There isn’t a great deal of room in the luggage shelf so if you are carrying a very large item of hand luggage there is a good chance that you will have to accept it being put into the hold. I found the seat to be very comfortable and I had no complaints about leg room either. Of course these planes are noisier than regular jets, but take-off was smooth as was the rest of the journey. You do feel any turbulence a little more than in a bigger aircraft but it was not an issue on our flight. Catering consisted of a roll, cake and coffee with a choice of alcoholic and non-alcoholic beverages. I’ll leave you to guess which I picked. 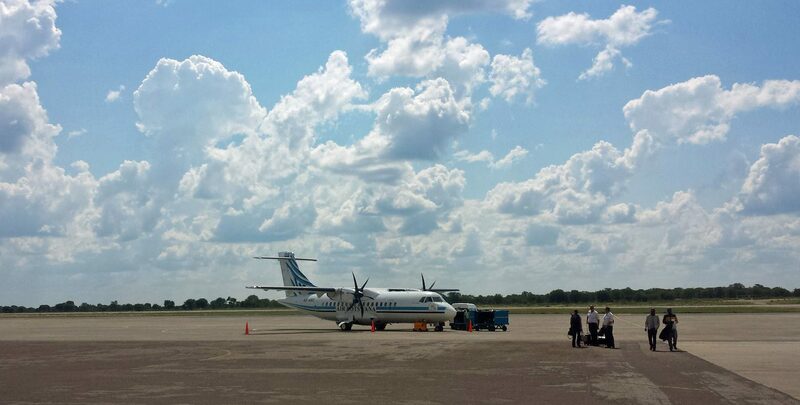 With that, I had arrived in my 54th country – Botswana. I took a quick look back at the plane to get a shot before joining the queue in the arrivals hall. Maun airport is small and it took a little time to get our passports stamped and collect our bags, but it was a hassle-free experience similar to the one I had landing at Victoria Falls last year. As we emerged into the main part of the terminal building we were met by Johnny from Planet Okavango which is the name under which Sunway Safaris operates in Botswana. We repacked our bags so that we took just what we needed for two nights camping in the bush and Johnny took the rest to store safely at the office. I had a bit more than most as I was taking Dennis in his heavy-duty hard case, but had arranged this in advance. The next leg of the journey was by helicopter – but since only 4 of us could fly each time a shuttle system had been organized. 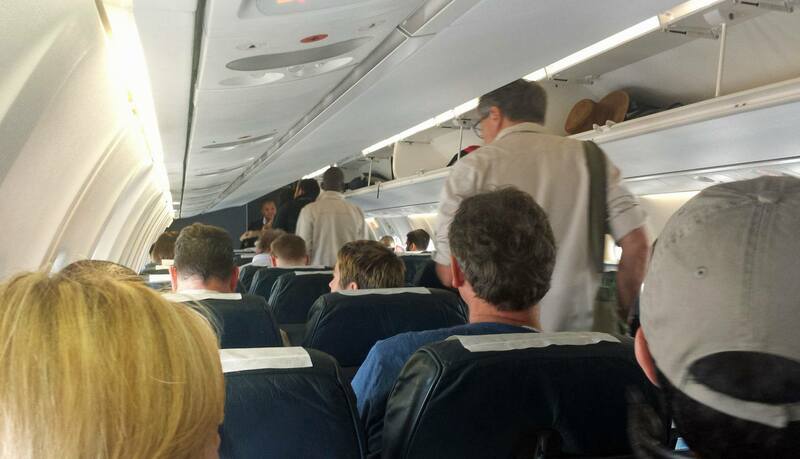 I opted to take the last trip as I had the most luggage and one seat would be empty on the final flight. Rather neatly this also gave the three of us on that last run the chance to go across the road to the bar while we waited. I took out some local currency – Pula – so that I would have enough to leave tips for the mokoro polers and our guides and used the first of it on an ice cold Windhoek lager. Yes, from Namibia, but never mind. At our alloted time we returned to the airport and cleared security into the domestic section where we were picked up by a driver and ferried to our waiting helicopter. Now I’m only human – and male – so naturally I love helicopters. I was lucky enough to get the seat next to the pilot but managed to avoid the temptation to press any buttons. 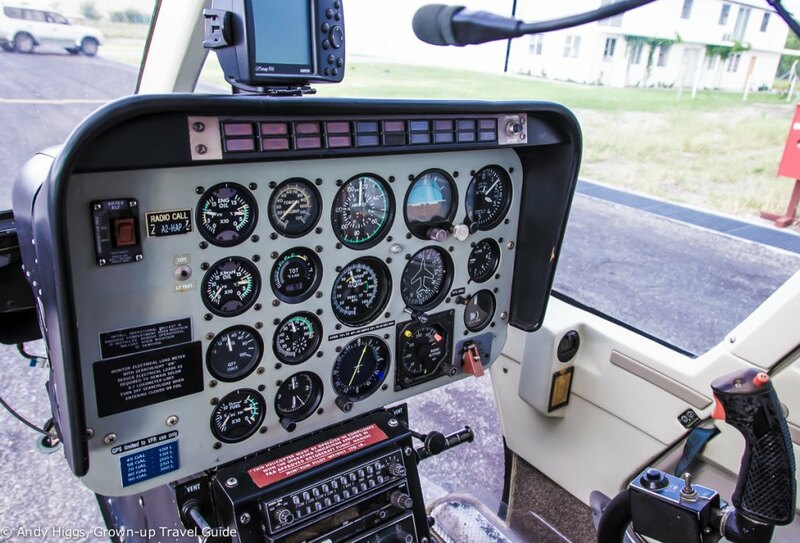 One of the optional extras you can book when travelling with Sunway Safaris is an extended scenic helicopter ride and you absolutely should – we were just using the chopper for transport and only in the air for 15 minutes or so but it was an exhilarating experience. 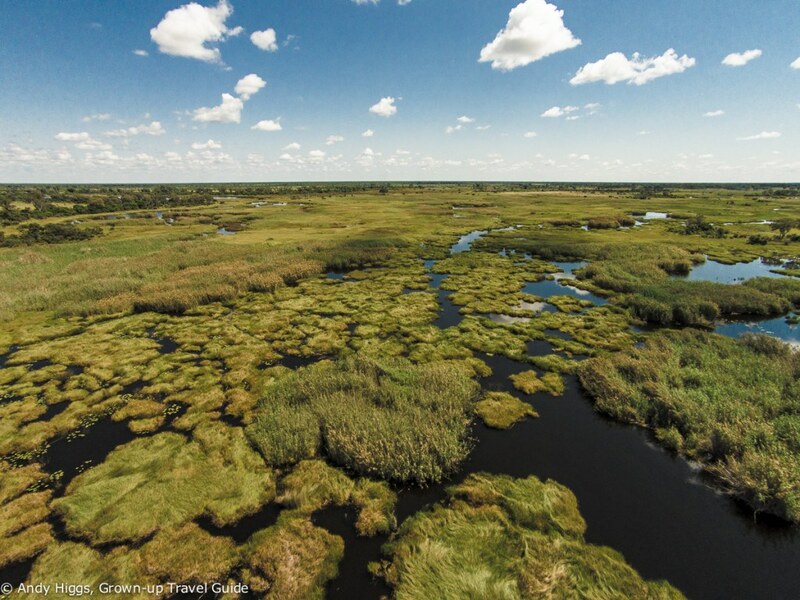 The scenic flights use different helicopters with greater visibility for passengers and are in the air for a full 45 minutes, during which time you are almost guaranteed to spot wildlife on the ground and in the water. On landing we met the rest of the group waiting in an open Land Cruiser (Toyota RULE the bush in Africa – sorry Land Rover, but they won) and our guides, Tony and Kenny. 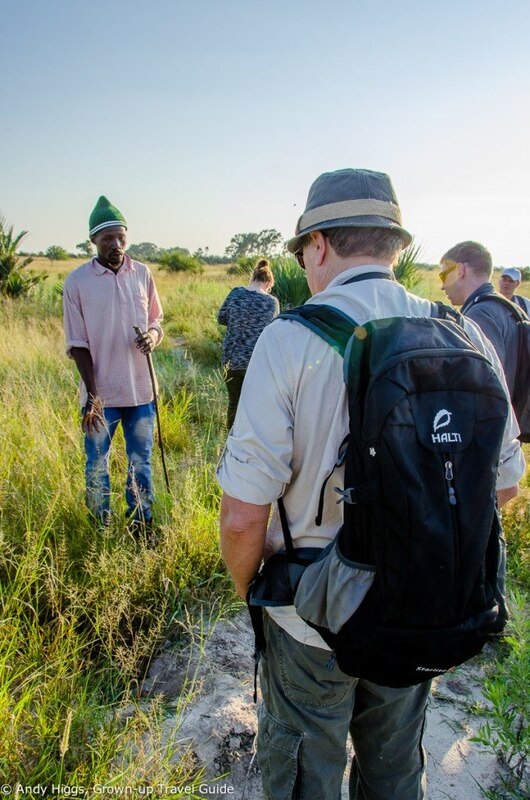 After climbing aboard we set off for the mokoro poling station, passing through the veterinary fence that keeps the villagers’ animals from wandering into the game reserve. The feeling of bumping along a dirt track in the warm sun, taking in the sights and sounds of Africa, is something so special that no video can do it justice. But perhaps you get some idea, anyway. Now it was time to meet our local polers and transfer into our mekoro (apparently the plural form of mokoro, fact fans) for the final step. These dug-out canoes were traditionally carved from certain trees with the right characteristics – they need to be old, strong and straight. The sausage tree was a local favourite – so much so that an increased demand for mekoro threatened to put the species on the endangered list. Fortunately most safari camps now use fibreglass versions and Sunway collects and donates money for this very worthwhile cause, enabling polers to trade up to an environmentally-friendly vessel. Having loaded our gear into the mekoro, we clambered in, two to a craft. With a folded mattress providing cushioning and our luggage as back support, we were able to relax in comfort, lean back and enjoy the utter peace and serenity of the Delta waters en route to camp. Just as sun was setting we arrived at the landing area, hopped out of the mekoro and followed our polers to the campsite just a few minutes walk from the shore. The kettle was already on, and dinner would not be long. Normally tour groups generally pitch camp themselves, but we had the luxury of arriving to a fully-prepared site. In any case the tents used by Sunway are extremely easy to set up, taking perhaps five minutes to assemble. I dumped my gear in the tent I would be sharing with Adam from the UK, which had ample space for the two of us and our baggage. With a sleeping bag, pillow and the mattresses from the boat trip we were going to be very comfortable, too. 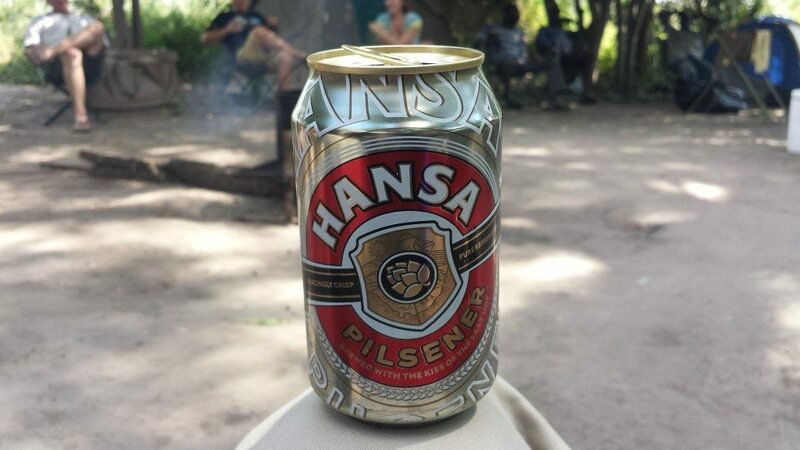 It was certainly beer o’clock by now, and while Tony finished preparing our meal the rest of us had a cold Hansa beer round the camp fire and got to know each other and the poling crew. 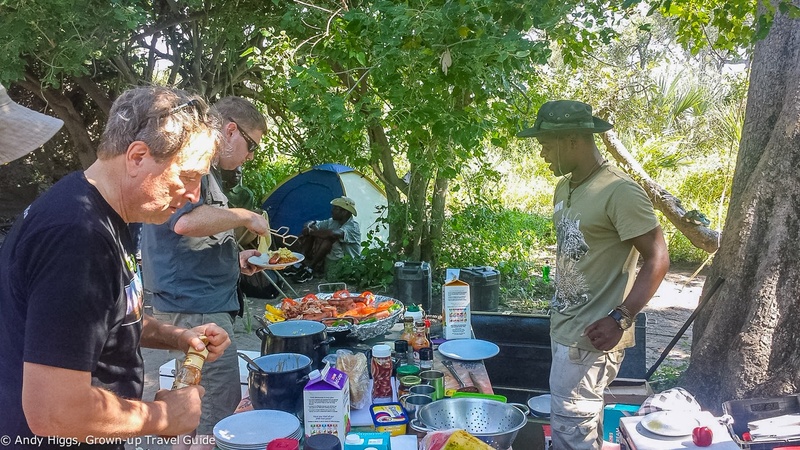 Sunway Safaris/Planet Okavango provide them with a regular income, too – which means that the money you spend on your holiday goes directly to helping the locals in Botswana. Dinner was welcome and hearty – simple but wholesome food and plenty of it; just what you need after a long day. When we finally did make it to the tents we fell asleep to the sound of lion and hyena in the distance; sleeping under canvas really adds to the magic. Waking just before dawn, it’s the silence that strikes you first. But it doesn’t last long, a full-blown cacophony of birdsong and animal noise greets the sunrise – it’s like the ‘on’ switch being pressed. After a quick ‘first breakfast’ of coffee and cereal it was time for our guided walk with two of the polers who know the area and its animals better than anyone. 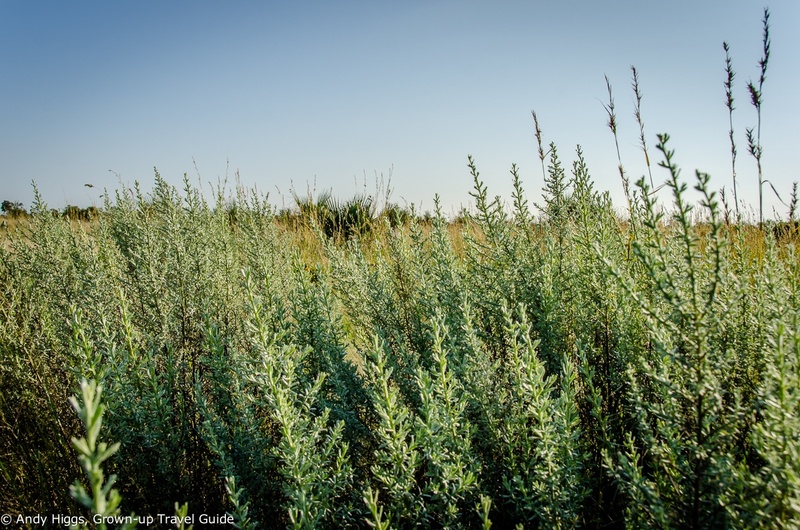 We set off through the grass and before long the ‘scent of Botswana’ was noticeable – wild sage grows all over the Delta, and the smell is wonderful. We saw a multitude of different animal tracks and before long could spot a variety of birds, too. A cormorant dries its wings in the sun after some early-morning fishing. 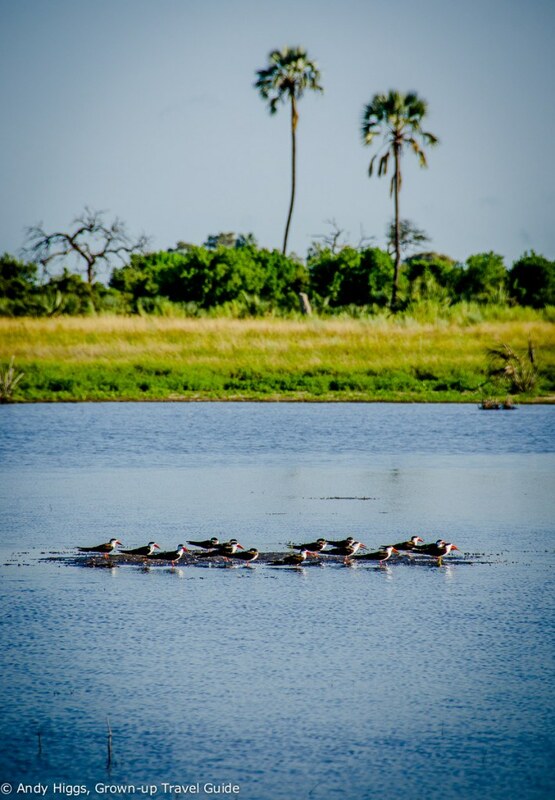 We were rather lucky to see a fine flock of African skimmers at the first water pan we came too – these are not the easiest birds to come across on safari. The same African skimmers in flight. A little further on our walk we met this group of zebra, who always seem to be hanging out with wildebeest. I think it’s time for the video, don’t you? It’s not just about the big animals, either – you need to keep your eyes open at all times. 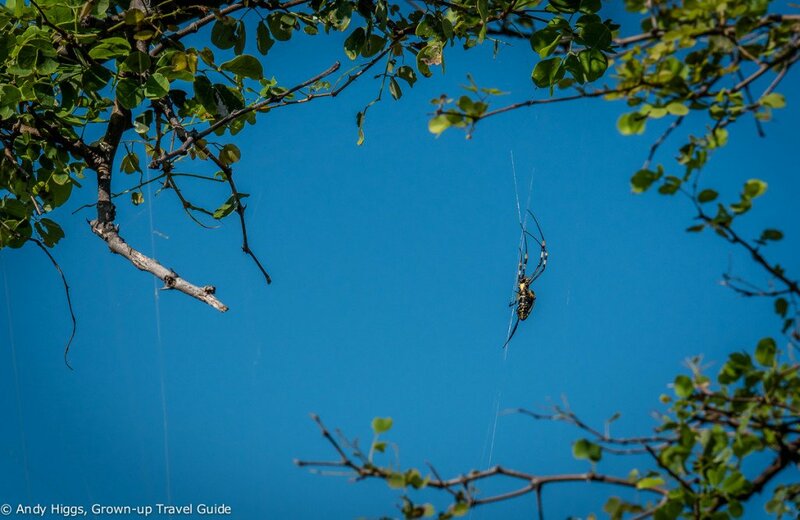 You wouldn’t want to miss this alarmingly large but harmless spider, now would you? After finishing up with some hippo-watching we made our way back to camp for a very welcome ‘second breakfast’ – or brunch, I guess. The heat becomes quite intense around 11 o’clock and most animals seek shade and relax – which is also what humans do on safari too. With little wildlife to spot, a siesta or at least a rest is the sensible move. After a couple of hours of taking it easy we ventured back to the water’s edge to try our hand at using a mokoro. I took the opportunity to bring Dennis the Drone for his inaugural African flight and managed to capture some amazing footage, some of which is featured in the mokoro video and more of which will be featured soon on the site. Needless to say it’s even harder than it looks to maintain balance and steer these narrow canoes; it’s going to be a while before I can take my first paying passenger, let’s face it. But it was fun to try, and increased my respect for these guys even more. In the late afternoon we took to the water once more (thankfully with the experts in control) and made for a nearby island for sundowners. The sunset itself was spectacular, and watching the sun’s descent with a G&T can never fail to please. We returned to camp for another wonderful dinner after which the polers put on a show for us, with traditional songs, drumming and theatre. An excellent time was had by all and by the time we crawled into our tents we’d polished off the rest of the wine and beer. Well, someone had to help bring down the weight of the equipment we’d be taking back with us, after all. The next morning we were up just after dawn for breakfast. All too soon the time had come to leave camp and return to the mainland. We packed our gear, broke down the tents and carried all the equipment down to the waterfront for loading into mekoro. I’m not sure what amazed me most – the speed in which our camp was gone without a trace or the fact that they managed to fit everything into the mekoro. 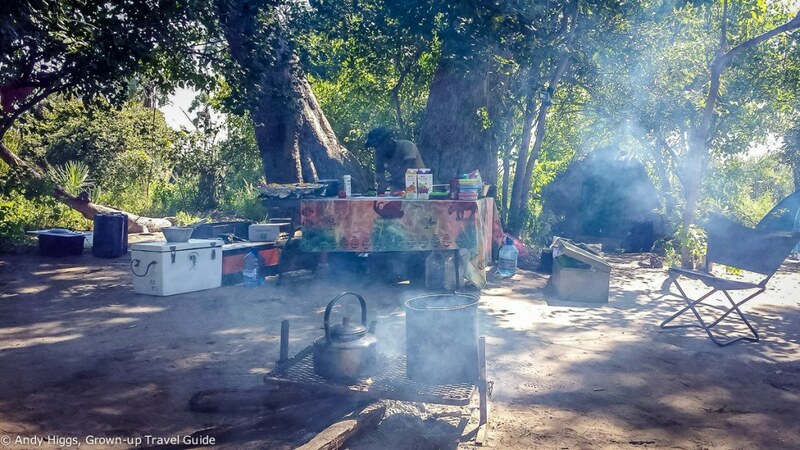 It is a condition of camping in Botswana that you leave your designated site without leaving anything behind – it should be difficult for anyone coming afterwards to know you had been there. 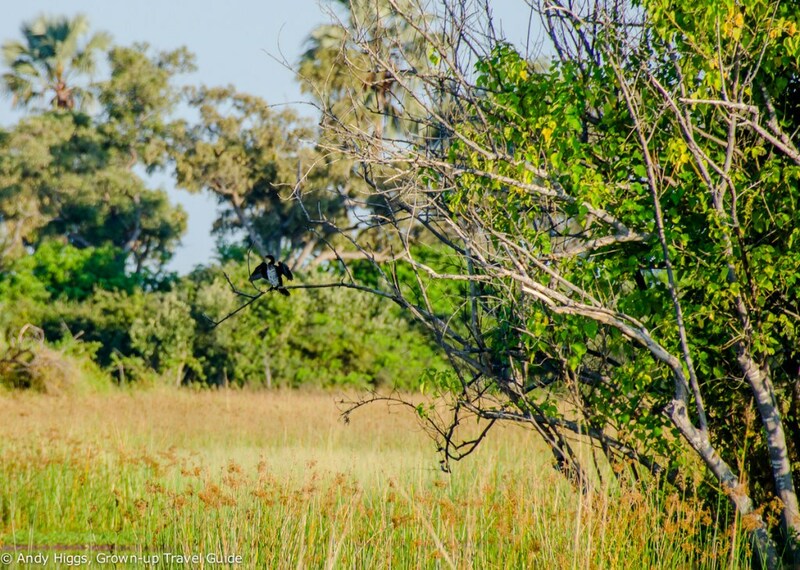 Moremi Game Reserve awaited – and you’ll have to wait a little too; I’ll be publishing the second part of this epic article very soon so watch this space! 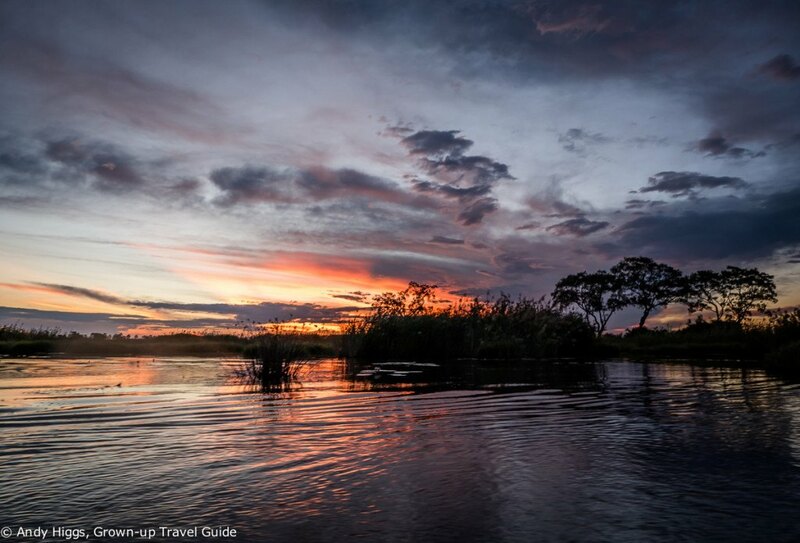 I’d love to go on a small group tour to Botswana, a place that has been tempting me for years. Sunway Tours sound a very appealing option. Tempting!